Leave it up to Japan to come up with the oddest tech accessories on the market. Such is the case with Necomimi Brainwave Cat Ears, a headband designed to sense your emotions through your forehead and reflect them in the movement of cat ears. This means if you’re excited, the ears will perk and wiggle; conversely, if you’re apathetic, the ears will droop down in a relaxed manner. I had the chance to try out the Necomimi cat ears, and I have to say, this is one of the strangest things ever invented. Out of the box, the package includes a plastic headband with two motors attached at the top. An elastic strap wraps around the back of your head to keep the relatively heavy device on, as well as an ear clip to secure the headdress. A pair of furry cat ears slips over the top of the motors, and there’s a battery slot requiring four AAA batteries to function. Sadly, the package does not include batteries despite its $100 price tag. As mentioned, the headband is a pretty weighty device to wear, but the heaviness helps the ears to stay on your head even while you jog around or perform a light headbang. To turn the device on, simply press the Power button located on the side of your ears, and a blue glow indicates that all systems are go. It will take a few seconds for the ears to calibrate with your brain, with one ear drooping down while the other is perking up. Once the ears begin wiggling in what can only be described as a cat-like state, you’re good to resume your emotion-filled day. 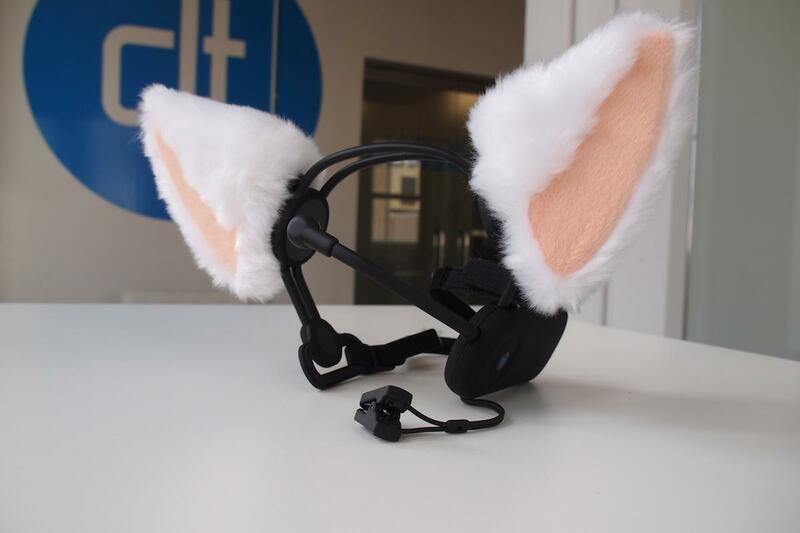 So how exactly do the Necomimi Cat Ears sense your brainwaves? The secret is in the various sensors attached to your head to measure the changes in electrical activity. There are sensors on the side of each earpiece, while the forehead piece acts as the main brainwave reader, categorizing your emotions into three general feelings: relaxed, focused, and interested. This means that if someone catches your attention by calling out your name, your cat ears might begin to perk up in response. If you are focused, your ears would wiggle gently, while relaxed means the ears would droop down slowly. In my experience wearing the plushy cat ears, the toy respond fairly accurately according to its descriptions. For the most part, the ears stayed wiggling as I went about my day at work, and would perk every so often when talking to someone. Still, boundaries must be pushed: What happens when I’m sleepy, hungry, excited, or angry? We decided the best (and devilishly fun) experiment would be for me to take a shot of Tito’s vodka and see how the ears would interpret the oh-so-smooth taste of liquid courage. Yes, the Necomimi Cat Ears are strange, interesting, and admittedly somewhat adorable, but it’s not exactly a fun thing to wear all day long. One of the more annoying requirements of wearing the device is making sure the the brainwave sensor stays in contact with your forehead. The Necomimi ears would be cuter and less conspicuous if the sensor wasn’t so visible, but this could be solved if you’re a girl who can rock bangs. I, unfortunately, don’t have the face shape for it, so the sensors are more noticeable than I’d like. After a few minutes of wear, the sound of the motors whirring next to your ears also gets to you. And then after an hour, it becomes infuriating. All you want to do is work in peace, but instead you have the sound of ears wiggling and motors running to distract you from your day while your co-workers walk by and laugh at how ridiculous(ly cute) you look. The constant pressure from the earpieces pressed firmly against the side of your head also becomes unbearable, and you shift from being a personal LOLcat to a total sourpuss. 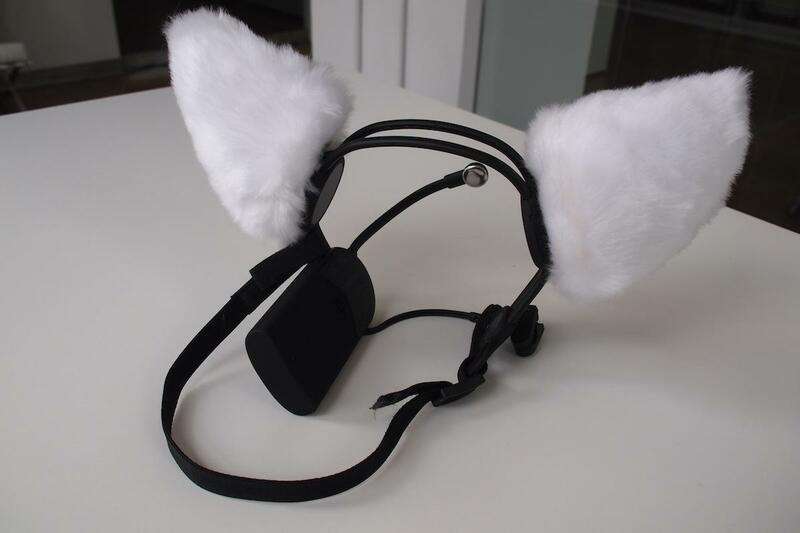 While the technology involved in crafting the Necomimi Brainwave Cat Ears is impressive, the product has an extremely limited market at $100 apiece for what’s mostly a silly novelty. Unless you are a die-hard cosplayer who makes a living out of dressing up and attending geeky conventions, the lure of the cat ears begins to die pretty quickly. 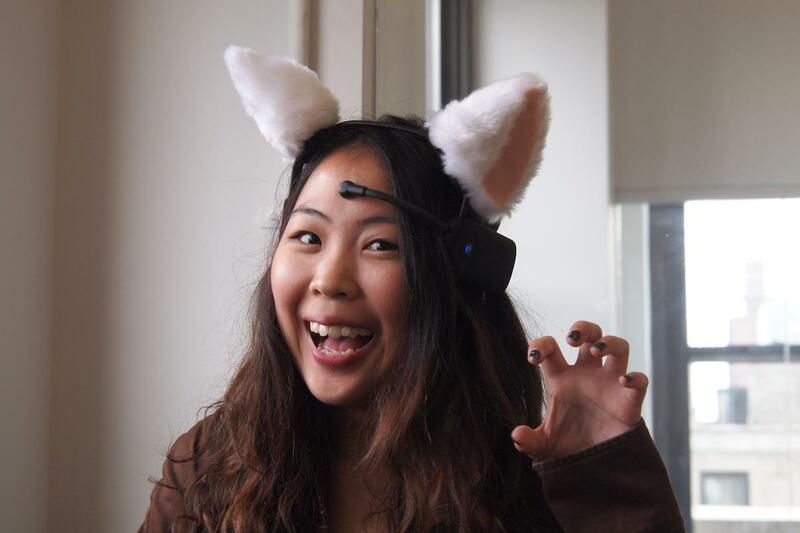 However, it is the Halloween season and if you want to catch the attention of parade-goers and costumed patrons at the bar, the Necomimi Cat Ears will make for a quirky conversation starter. Who knows, if you mention the whole shot experiment with the bartender, you might even score a free drink. Necomimi recently announced that the ears will also be offered in black, brown, and leopard in addition to the classic white ears, and an accompanying mood-controlled tail is currently in the works. 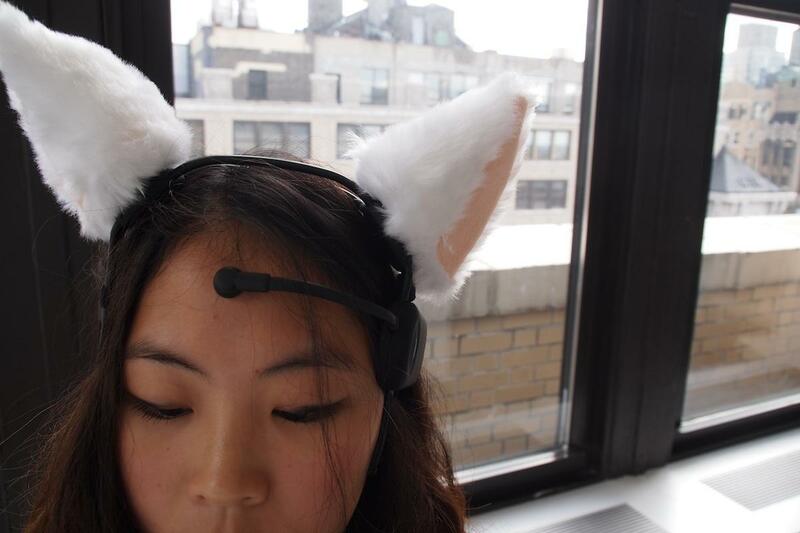 It’s no purr-fect gadget, but sold at retailers like Urban Outfitters, the Necomimi Brainwave Cat Ears might make for a silly investment — once they go on on clearance. Samsung's Galaxy S3 Mini is official, but is it worthy of the name?